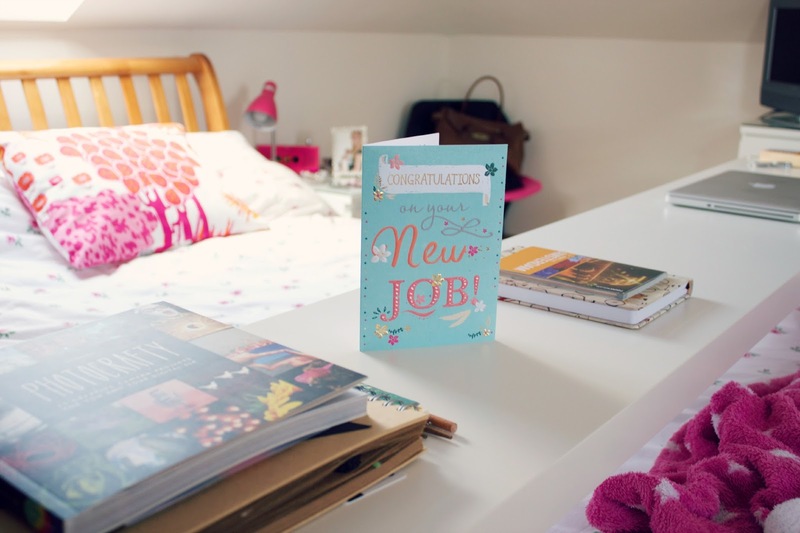 Here's an updated room tour, I did one about a year ago when I redecorated it, this one is pretty similar but a few things have changed and I've organised things a bit differently. My room is a loft conversion (meaning I don't actually have a door!) and it's a different shape to most rooms, the ceiling is very low! Pretty much all the furniture is from Ikea, all the white drawers, dressing table, the table over my bed and pink chair are from there, as well as my duvet! 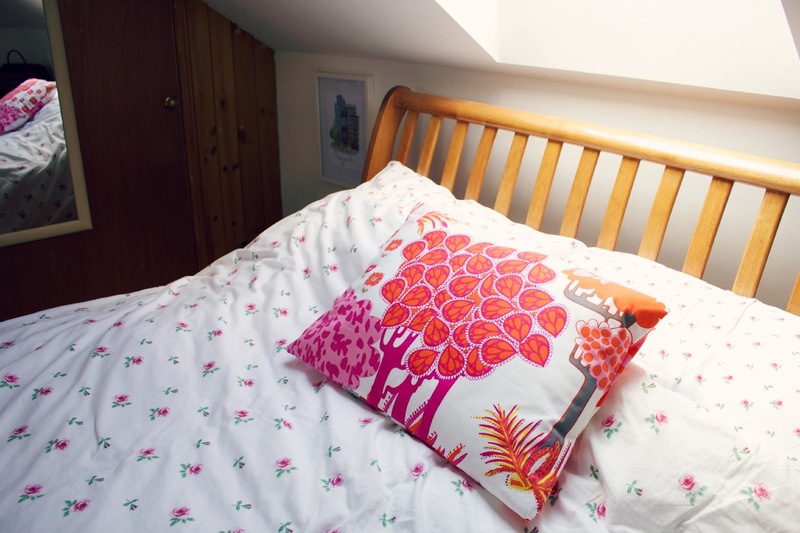 The table over my bed is so handy, I generally use it when I'm on my laptop as I can sit in bed to do work, the pillow on my bed is one that I made using Ikea fabric, I love the pattern! 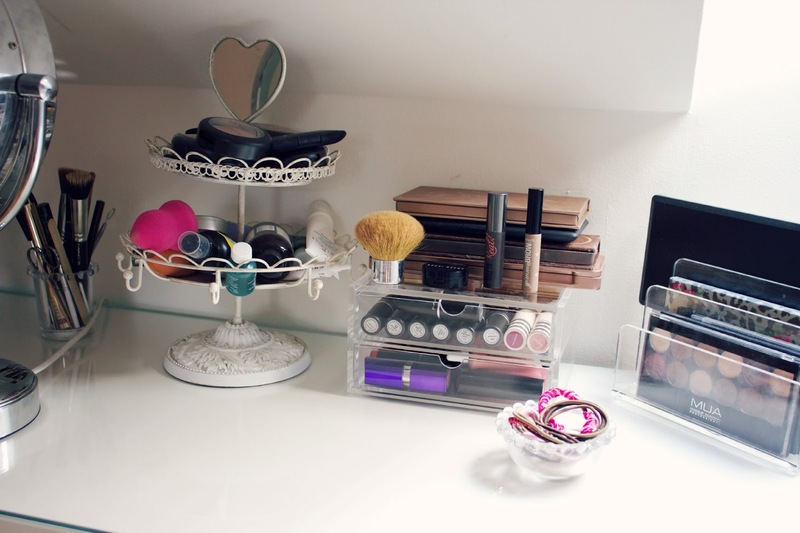 My dressing table is also from Ikea and so are the rectangular glass pots for my brushes, the one that looks like a vase is one I got from my grandparents. The sundae style one is from The Hambledon, as is the one behind it. 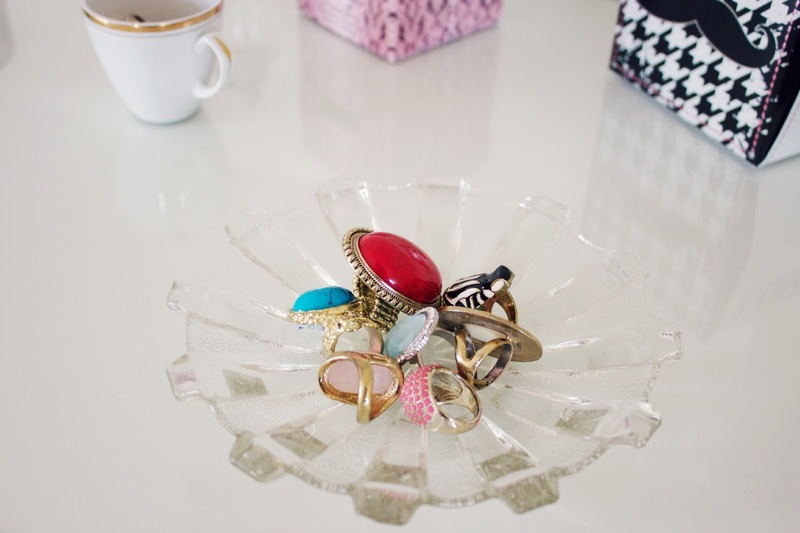 On my six drawer unit, I keep most of my jewellery, the plate that holds my bigger rings and the gold two tier holder are from my grandparents house. 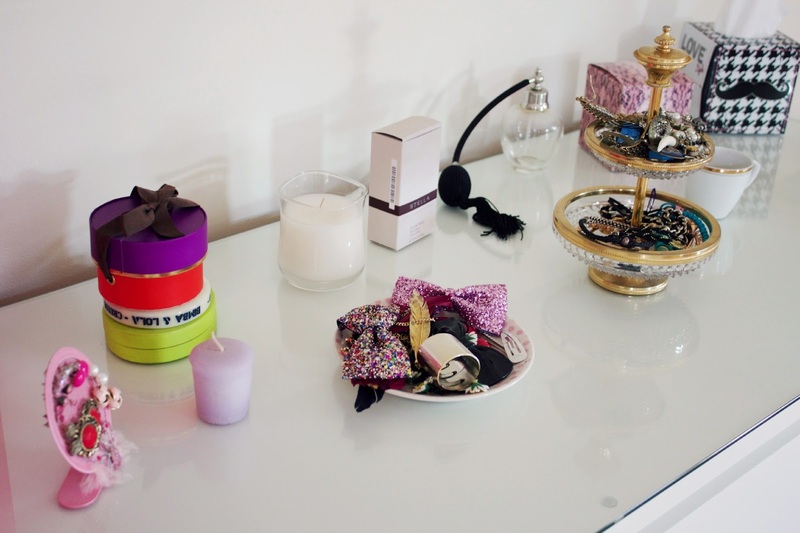 The rest are just small plates which work really well for holding jewellery! 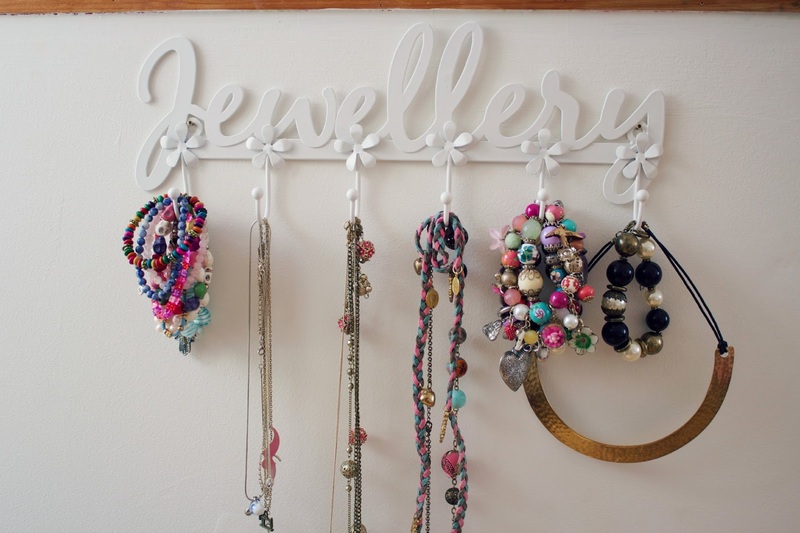 Longer necklaces are on my jewellery holder that's attached to the wall, this was from the Next sale. Then finally is my pink Ikea chair, I have my jeans piled on here because I wear them so much that I can't be bothered to hang them up! 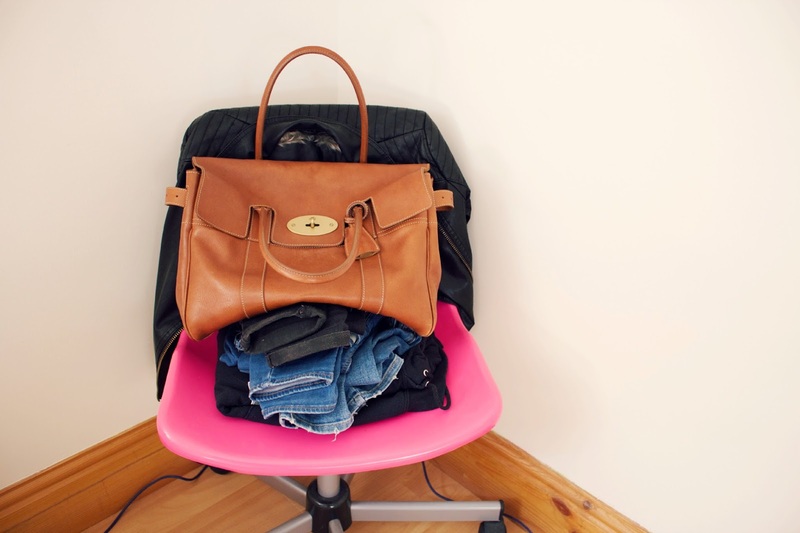 I then keep my Mulberry Bayswater (my most used handbag) on the top as I frequently reach for it! If you want to know where anything else is from, just ask in the comments! Love your room and I have that duvet too! My room at my old house was in the roof and it was such a pain together furniture to fit and not bang your head off the ceiling when sat at desks. Where did you get the jewellery hook thing from? I could do with one of those. This sounds weird but I almost had to stop half way through the pictures because it was so much love and inspiration at once! Your room is absolutely beautiful. I didn't know that having a table over your bed was a thing- that is so amazing and must be really convenient. Though is it a hassle to make your bed? 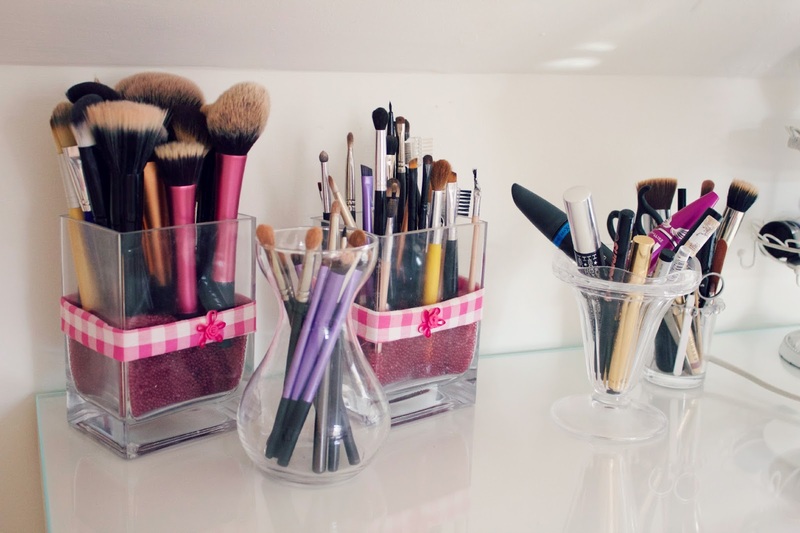 I love you're makeup storage and random dishes to hold jewellery etc. 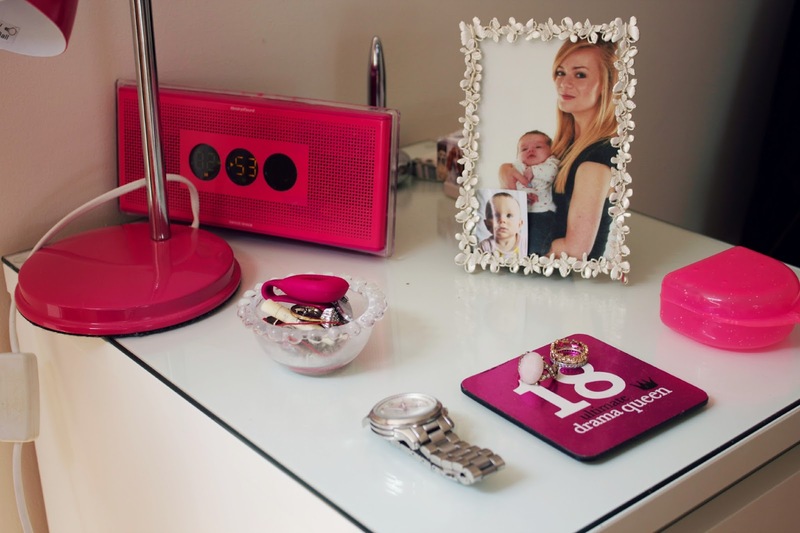 Everything is so organised but there are lots of lovely personal touches which make for such an interesting space. A trip to IKEA is definitely now on the cards for me. 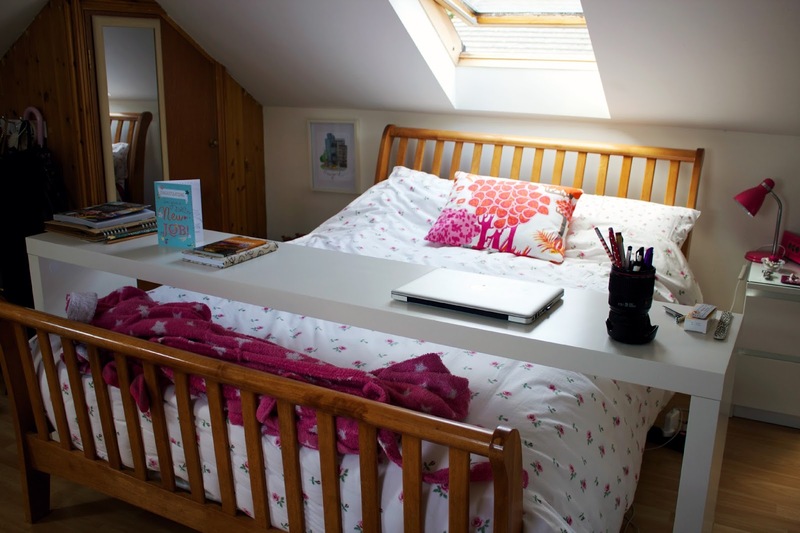 The desk over your bed is such a cool idea! The table over your bed is so clever!! 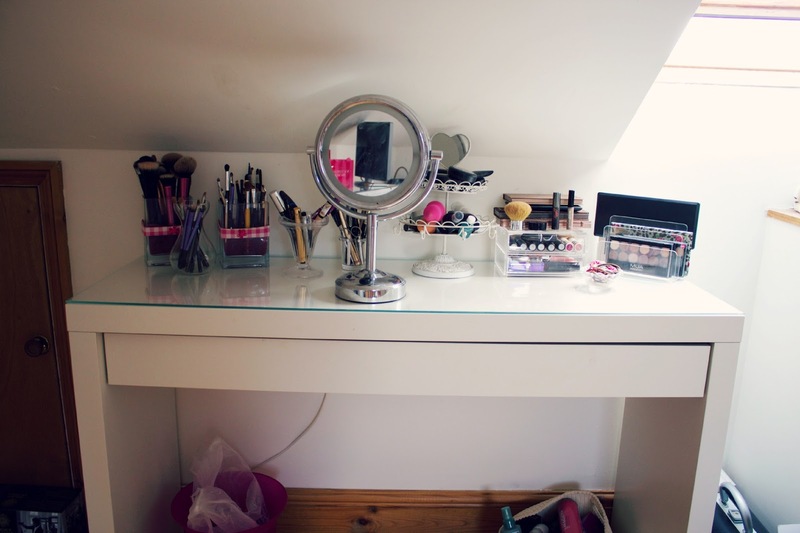 I love how you managed to create such a nice and organised space in a loft!